Vivid characters and first-rate storytelling are the hallmarks of good popular fiction. 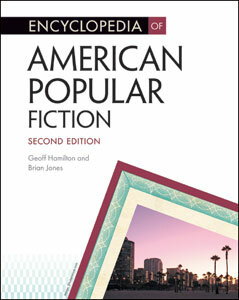 Encyclopedia of American Popular Fiction, Second Edition is an A-to-Z resource that covers those contemporary authors and works that have enjoyed commercial success in the United States but are typically neglected by more "literary" guides. Written by literary scholars, this updated and invaluable resource provides high school and college students with everything they need to know to understand the authors and works of American popular fiction. Geoff Hamilton received his Ph.D. in American literature from the University of Toronto and was a Killam Postdoctoral Fellow at the University of British Columbia. His primary research interest is contemporary North American literature. Brian Jones studied literature, philosophy, and education at Queen's University and did his graduate work in philosophy of culture at Cambridge University.